Innovative Medical Practices believes in giving everyone a chance at success! The Professional Medical Coding Curriculum (PMCC) is designed to prepare a student for a career as a certified professional coder. Now you can receive qualified training from a PMCC Curriculum Board Member! 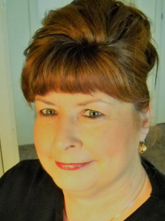 Lynn Pascoe, CPC-I, CHCA, CHCC, CPCO, CEMC, CPC, PCS, CCP, president of Innovative Medical Practices, LLC offers exceptional training for coders and those who seek coding certification. Lynn has over 30 years healthcare experience and an excellent track record when it comes to the passing rate of students who take the certification exam. Recently, Lynn received her Certified Health Care Auditor credentials under the nationally recognized CMS/OIG certification program. Students are taught comprehensive and accurate CPT, ICD-10 and HCPCS medical coding needed for appropriate reimbursement of medical procedures/services provided by a physician. The curriculum includes: lectures, exercises, end of chapter reviews, and mid-term and final exams. Upon completion of the PMCC course, the instructor will conduct a 3-6 hour exam review prep class for the Certified Professional Coder (CPC) examination.